LAHORE, Pakistan (Morning Star News) – Authorities this week charged and jailed a Christian accused of blasphemy by Muslim business competitors, and police beat area Christians in their search for him, sources said. Jamshed Masih told Morning Star News that local Muslims had entrapped his brother, 35-year-old Pervaiz Masih, in a false blasphemy case after he obtained a sand contract in Garra village, near Mandi Usmanwala in Kasur District, Punjab Province. “We were unaware of the incident until the local Muslims, led by the village mosque’s Pesh Imam [prayer leader], started propagating on Tuesday [Sept. 1] that Masih had blasphemed against Islam’s prophet Muhammad during a discussion with some Muslims a couple of weeks ago,” Jamshed Masih said, adding that some 300 to 400 Muslims of the village and surrounding areas shouted chants against the Christians and vowed to avenge alleged “disrespect” of their prophet by burning his brother alive. He said that Pervaiz Masih had obtained a contract for sand from a local dealer at a better price than that of his Muslim competitors, Haji Muhammad Jamshed and Haji Muhammad Bashir, and that since then they had nurtured a grudge against him. Jamshed and Bashir on Tuesday (Sept. 1) began spreading word that Pervaiz Masih had disrespected Muhammad, he said. The accused Christian’s employer, owner of a brick kiln, the next day informed Jamshed and other Muslims that he had made Pervaiz Masih surrender to police, who immediately charged and jailed him to appease the Muslim mob and relieve pressure on them from various Islamist quarters, Masih’s brother said. He said the entire family had been forced to flee the village due to fear of revenge attacks, “as the Muslims had said that they would treat them in the same manner as Christians of Lahore’s Youhanabad area who had lynched and burned alive two Muslims” wrongly suspected of involvement in twin suicide attacks on two churches on March 15. There are about 15-20 Christian families in Garra village, most of which till lands of local Muslims. A pregnant mother and a woman who gave birth to a girl by Caesarean section eight days prior were among victims of police brutality, sources said. Police beat female relatives of Pervaiz Masih and other Christians in their search for him, said his wife, Zarina Bibi. The mother of four children, the oldest 9 and the youngest 7 months old, told Morning Star News that officers kicked family members and struck them with their fists and batons. A pregnant mother in the village whose name is withheld for security reasons said police tore into her Christian family without hesitation. She added that officers reviled the Christians for their faith. “The police are supposed to protect the helpless, but they treated us as if we were all hardened criminals,” she said. Another Christian woman in the village said officers did not spare her newborn daughter. Attorney Aneeqa Maria, whose human rights group The Voice Society reached the village on Tuesday night (Sept. 1), confirmed that area Christians had been subjected to police brutality. Police stopped The Voice Society team at a gas station as they were returning to Lahore that night for two hours and pressured them to reveal Pervaiz Masih’s whereabouts, she said. Maria said that The Voice Society would care for Masih’s family and defend him in court. “The FIR [First Information Report] of the alleged incident clearly shows malice of the complainants, but it is the police’s attitude towards the Christians there that is more appalling and a serious concern to us,” she said. Kasur District Senior Superintendent of Police Chief Saeed Ali said by phone said that he had taken notice of allegations of police torturing the Christian families and ordered an investigation, even as Christians suspected his officers of torturing Masih into confessing. 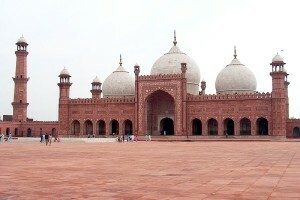 Ali claimed that Masih had confessed to committing blasphemy. “Masih has been sent to Kasur District Jail after he confessed to the charges brought against him,” said the police chief. Pakistani police routinely extract confessions from suspects through torture. Lahore High Court attorney Chaudhry Shoaib Salim told Morning Star News that the police system was not only obsolete but corrupt. In most blasphemy and other cases, he said, police coerce the accused through threats and torture to admit to charges if they want to save their lives. Police chief Ali said Masih’s life would have been in danger if he had not been quickly arrested and kept in custody. He said he had ordered the release of Masih’s brothers, who had been taken into custody the night of the incident. Pervaiz Masih’s wife said her husband makes little income working at a brick kiln in the village and traded in sand and soil for extra income. She recalled the case of Shama and Shahzad Masih, a young Christian couple who worked at a brick kiln in Kot Radha Kishan in Raiwind, also in Kasur District. A Muslim mob killed them and threw them into the furnace of a brick kiln on false charges of blasphemy last year.